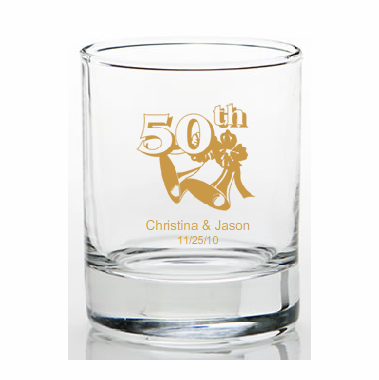 Guests will keep and use these 50th anniversary favors shot glasses. 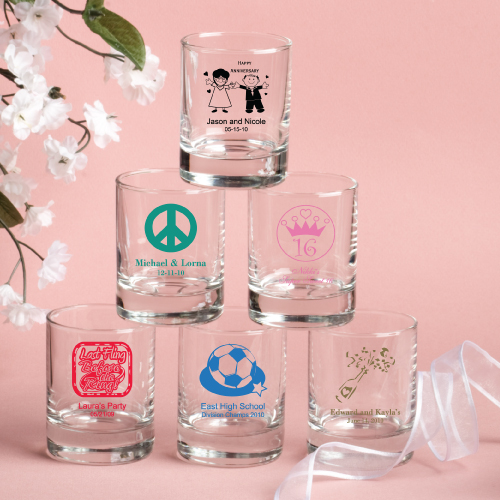 Cheap in price only, each 3.5 ounce clear shot glass measures 2.5" tall x 2" round and is made of clear glass with your choice of design silk screened on the front. You choose from a wide variety of ink colors and designs/themes. You can also design your proof online. 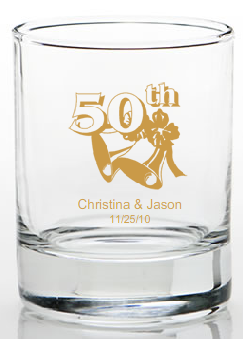 These favors come bulk packed.